You can’t keep a good man down. Or, depending on preferences, a bad stench always lingers. Yes, Saint Tony has pre-announced a possible comeback. Caught between the rock of ruinous Toryism and the hardplace “ultra-leftism” of the Labour Party, His Blairness has identified a yawning gap where the centre ground should be. We’ve been here many times before, including quite recently. The problem with any notion of the centre ground is it does not have a meaningful existence in the same way political values and the forces attached to them do. Blair had little time for such old hat, he took what we call in political science a spatial approach to politics. Find out where most people are on an issue, and try to be closer to that position than your opponents: that is the route to electoral success. The problem is the electorate tend to be all over the place. They might be left leaning on some things, such as the need for more housing, and are appalled at the tax dodging antics of the filthy wealthy. And right on others, like getting tough on crime and cutting immigration to nothing. The problem is one Theresa May has triangulated that territory quite successfully, if the latest abysmal poll is anything to go by. The problem for Blair is that while he has an inkling the current political situation has something to do with the dull, authoritarian managerialism of his reign, he doesn’t understand how or why. And neither do his disciples. Yes, Tone’s time as PM saw a number of positives, but alongside the one huge, fat negative his approach didn’t so much as challenge the neoliberal consensus as strengthen it. The subsequent erosion of the bedrock constituency Labour depends on is a direct consequence of his positioning, which means a 1997-style triangulation strategy is nigh on impossible for our party – even if it was led by a Blair-like figure. Jeremy Corbyn’s Labour might be miles away from power, but it is doing the necessary spade work of sinking new foundations that will pay dividends in the long term. 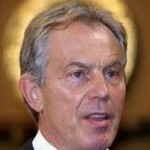 The second problem with Blair is if he were to make a comeback, of leading politically he has no inkling. For all the trite talk of tough decisions, his pitch prior to ’97 was “aren’t the Tories useless and sleazy”. Because they were and the public had had their gut full for 18 years, he didn’t have to offer a political or philosophical critique. All the previous sins of Labour’s approaches to power were compounded and reinforced. Facing a choice between adapting to or leading public opinion, always understood by Blair as right wing tabloid editorials, it was more prostration than meek acceptance. Tellingly the one time he did try and lead public opinion was on Iraq, and we know where that ended up. Therefore the current situation, whether Jeremy stays six months or leads the party into the 2020 general election demands something more than what Blair and his acolytes have to offer. It requires politics. That said, while Blair has the habit of passing banalities off as profundities, he does make one useful point. His affection for ‘the centre’ is a preference for elite politics, of those interludes where certainties are, well, certain, and not likely to be upset by realignments and the rude intrusion of masses of people. It assumed one form during the calm years of the post-war consensus, and another once the destruction wrought by Thatcherism settled down. Politics is in flux right now, and that isn’t about to change. But in time, it will. The shape it’s going to assume is up for grabs, but as things calm the strength of conservative forces in the party will gather and, if we’re not careful, take us through the whole cycle again. Blair is the past, but he is also a warning of what could come. Try to imagine, if you can, a world where Blair is PM of UK.co.ltd and Trump is president of TRUMP EMPIRE. You may well be right. It is just possible though that his love wealth and the wealthy might have been satiated by his business dealings since leaving Parliament. His wealth is variously estimated at between £30m and £60m. Small beer by some standards but maybe he feels that is enough of a “cushion” to return to guiding the nation. I think two paragraphs sum up the crisis of the left at the moment. Let’s look at the first. ” Find out where most people are on an issue and try to be closer to that position than your opponent: that is the route to electoral success”. Well as Michael Caine is reported to have said ” Talk about stating the bleeding obvious”. It would seem that it is necessary to take diametrically opposed positions to the ones that your target section of the electorate holds and work them all into your manifesto. Then when you lose the election you can blame the right wing press for smear, lies and innuendos and revel in your political purity. Naughty electorate! It simply won’t do as its told. What patronising drivel. I don’t supposed I should be surprised as I have heard it from the far left for a couple of decades but it is now mainstream in the Labour Party. Ask someone what they think about immigation or capital punishment and they’ll often be quick to proffer an ‘opinion,’ but that doesn’t mean they’ve taken the time to consider the very many tangential and wider implications. In effect and for many, such decisions are sometimes overly emotive and rather knee-jerk. Surely the best of ‘politics’ might be achieved where well-considered and thought-through ideas are used in order to persuade a wider section of the electorate of the ‘rightness’ of a particular stance, based on a far more thorough opinion than that informed in discussion with always the same few reaffirming friends? It’s not so much about a, “naughty electorate,” as an overbusy one with too little time to properly consider the consequences of important decisions being made according a gut feeling, based upon God only knows what. Decisions should never ‘follow’ the ill-considered half- thoughts of an electorate who have not had time to properly consider the consequences. Thanks for the input Imran as it as actually useful. You see the problem we have had to combat on the left (largely since Blair) in the Labour Party is the mistaken concept that ideas are static things, that the ‘center ground’ is a fixed place and that they way to win is by adapting to whatever ideas are popular at a given time. But of course ideas and the center ground are not fixed, but things that constantly move in relation to other events. German people are not forever stuck in 1933 and in support of fascist ideology (where the extreme right-wing nationalism of von Papen or von Schleicher would have been the ‘center ground’ that the SPD – German Labour Party – ‘moderates’ wanted to adapt to), Russian people are not forever stuck in the revolutionary ideology of 1917 (where the Kerensky, head of the Socialist Revolutionary Party, was the ‘center ground’ that the SDLP – Russian Labour Party – ‘moderates’ wanted to adapt to). Sometimes things alter slowly, imperceptibly. Sometimes so quickly that hours act like weeks or years in political change. But nothing stays the same. Blair’s problem is that he still thinks things are the same as 1997. They’re not. The center ground has moved, and vacillated significantly since then. In fact the center ground has moved again considerably since Corbyn was elected leader of the Labour Party a year ago, and in particular since McDonnell altered the Labour Party policy on austerity and the meek acceptance of Tory cuts by no marks like the previous shadow chancellor Chris Leslie. In other words the actions of those inside the Labour Party and the supporters outside have altered the ‘center ground’ so much that it cost Osborne his job. And that’s the point. If ideas are not static, if the ‘center ground’ moves, then the real question is not how to adapt to what is, but how to win what is possible. That is at heart what Corbynism is all about, and it is the reason why those who think in fixed concepts, in static viewpoints (like those at the heart of the failed coup against Corbyn), are so lost at an explanation of how half a million people could now be members of the largest political party in Europe, and why they can’t see how that process is itself part of the potential for beating the Tories and moving the ‘center ground’ once more. Thanks for a reasoned response to my post. I was expecting the usual onslaught of uber left rhetoric. You are of course correct that things change and political definitions do as well. However they don’t change that much, people want stability in their lives, certainty and when those things are not present move closer to the extremities. You German analogy isn’t, in my view correct, and it’s never helpful, although of course it is Marxian, to do historical comparisons. You are nearer the mark on Russia where if the Bolshevik coup de etat had failed the country would have developed into some kind of a constitutional monarchy. And of course with no Soviet Union declaring that capitalism must be abolished along with private property of all kinds and religion there would have been no base of fear that Fascism was able to draw on. No Lenin, no Hitler. One thing that I have found with the left is their continuous ability to delude themselves and to blame all of their failures on the fact that the working class are duped by the media and where it not for the Sun, Mail etc they would vote in ever greater numbers for ever more left wing governments. The reality is that the working class while embracing the welfare state, were and are socially conservative. They do not embrace immigration, the abolition of Trident, the monarchy or any of the other basic tenets of the far left and to adopt these even as a part of the baggage is the kiss of death at the ballot box. I can just remember, becoming politically aware, the shock to the left to the reaction of a large part of the Labour vote to victory in The Falklands. Yet a large part of the party would, if able, hand the inhabitants of those islands to an unstable economically bankrupt only recent sort of democracy against their wishes because it was in keeping with the doctrine of anti imperialism. Currently a majority of the membership of the Labour Party are locked into a belief system that the fact that the party has now a half million members and is the biggest etc etc wherever, means that the scales will fall from the eyes of the electorate and they will vote for a radical socialist programme. Lunacy, self delusion at its most extreme. Centre grounds exist, you are correct and you also correct in that they are fluid, but not that much and the centre is now Teresa May and the Tories. Dearie me, Imran – time for a very basic sociology lesson. For most of the time, given a reasonably stable social system, the overwhelming majority of the inhabitants of any society , anywhere, at any time, will be persuaded by the overwhelming weight of the dominant “hegemonic narrative” and the apparent unchangability of the socio/economic status quo, to see the entire raft of existing circumstances, shibboliths, taboos, and icons, as representing eternally true “the middle ground”. This is as true for ancient Inca Peru, and the universal belief then that regular offerings of hearts ripped from mass sacrifices to the Gods was essential to ensure the sunrise each day, as it is now in our equally irrational UK social system where most people venerate the half-witted scions of our monarchy, think nuclear weapons ensure our safety, accept that privatised public services ensure efficiency, and that the ownership of most wealth by a tiny ruling class is natural and inevitable. However, if history teaches us anything, it is that the stranglehold that the constantly shifting “common sense” , “middle ground” , of the dominant ideology, has over the mass of people, is actually never permanent. For instance the Welfare State , high nationalisation-rich mixed economy, “Butskellite Consensus” of the Post War period , up to the successful “Reagan/ Thatcher neoliberal counter attack of the 1980’as onwards, was then the “Centre ground” of UK politics. today that ideologically hegemonic “centre ground” constantly reinforced by the entire mass media , is massively to the Right of that earlier post war consensus narrative ( and quite contrary to all the mixed economy, Keynsian, economic assumptions I was taught as “true” as schoolboy in A level Economics in the 1960’s) . Today, the aftermath of the 2008 Crisis and now unending Austerity for the majority, explains the widespread rejection across Europe and the USA of the status quo neoliberal narrative. This is being replaced by a mass search for alternatives – leading to not only the Europe and US wide “Left Surge” (eg, Bernie Sanders, Corbynism, Syriza, Die Linke, etc) but also a huge rise in support for the radical populist Far Right (from Golden Dawn to UKIP) . In other words , in confused and often contradictory ways, masses of people realise that society “cannot continue in the old ways – but the future , the new “Centre Ground ” route and narrative “is yet to be born”. This is all very basic stuff “Imran Khan”. That you spout all the usual ahistorical old nonsense about the “Centre Ground, as if it is some spontaneously generated, unchangeable, viewpoint, suggests you are either remarkably unaware about how societies and ideology works, or, much more likely, are just a Right Wing Troll (with a posting name selected for racist reasons) having some fun inserting all his Daily Mail nonsense onto a Left discussion site. I think that a Blair return could be a good thing. It would make the choices before Labour even starker. Most of us think that the right of the party dreams of a return to New Labour but, because of the odium now attached to Blair’s name, try to keep their distance from him and to present themselves as critical in various respects of New Labour’s record. His return could be a major embarrasment factor them. Blair’s outsize ego probably prevents him from seeing that. If the left responds politically by producing attractive policies and clear and accessible analyses of our problems, rather than attacking the person, Blair could be decisively defeated putting the clearest possible marker down of the need to put New Labour behind us. Blair’s politics are too often described in his own terms. Thus PB-C says that his approach was to “Find out where most people are on an issue, and try to be closer to that position than your opponents: that is the route to electoral success”. I think that this is what Blair would like us to believe. In fact this so-called method always had objectives which determined the outcomes. Focus groups were given leading questions, polls which did the same were used. Issues were selected where public opinion could be described as in the “centre”. Where this could not be done it was not attempted. It was research with pre-determined outcomes. And behind all that was an ideology which involved a full embrace of neo-liberalism, the power of the market to optimise outcomes and a down grading of the importance of combating inequality and a definitive dropping of any “socialist” talk. New Labour didn’t “triangulate”. Its approach moved the centre dramatically to the right. I would also want to heavily qualify “Tone’s time as PM saw a number of positives, but alongside the one huge, fat negative his approach didn’t so much as challenge the neoliberal consensus as strengthen it”. I would want to say that the positives were almost always contaminated. Thus increased NHS funding came with more privatisation. Increased spending on schools came with beginning the Academies programme (and let’s remember that the objective was not just to help inner-city areas but to make all schools into state-supported independent schools) and more marketisation. I want to agree that “Jeremy Corbyn’s Labour might be miles away from power, but it is doing the necessary spade work of sinking new foundations that will pay dividends in the long term” but I am not convinced that it is doing that spade work. There are plenty of reasons, aired in these columns, to think that it is failing to do so. Do we not need to be far more self-critical? PB-C says “he didn’t have to offer a political or philosophical critique” but actually he did do that. He pushed Labour clearly in the direction of seeing its mission as stimulating capitalism’s dynamism and creaming off some of the result for public benefit. It was the final complete rejection of socialism as anything other than humanised capitalism. He could not have been clearer about this. It was the tradition of so-called “ethical socialism” finally detached from any mix with a critique of capitalist economics. So I am not so sure that it is right to describe Blair and his supporters as being without politics. I agree that the significance of so-called centrist politics has an entirely different meaning in the post-WWII period and in the post-Thatcher period. But this message should probably be even broader. How much of the dream of a return to the post-war days of left-Keynesian policies is a dream for a period for which the historical basis no longer exists in the era of global capitalism? Except of course, where that position differed to the neo-liberal consenus – so, a wish for greater role of the state in the provision of health, transport, utilities etc – routinely ignored. Where that position includes being crappy to the unemployed, or a degree of animosity towards immigrants – Yes please! Any consideration that the latter perspective may be generated by external elements – hmmmm. “Blairism” was an opportunist “triangulation” to a very special period in UK post War politics. Thatcherism/the Neoliberal Offensive had pretty much destroyed militant trades unionism, (indeed trades unionism as a cross sectoral mass phenomenum), producing a compliant TU leadership happy for Labour to be “in power” on almost any basis. And the ever increasing breaking up of the “Big Battalions ” of the labour force through willful destruction of the Coal, Steel, engineering, and also the well organised older iterations (pre Honda and Nissan) of the automotive industry, and widespread big industry “outsourcing” of functions produced a vast expansion of new “White van man” micro businesses. Add to this the availability of hitherto extraordinary levels of personal debt borrowing to keep up living standards, but with the now only too clear consequences of privatisation on rail, utility, and local government and NHS services still far in the future – and for perhaps the majority of voters , the individualist neoliberal route looked like a permanent beneficial option. Not so today, and Blair and his co-thinkers simply cannot offer a political policy package or associated individualist ideology to recreate the electoral viability of New Labour. Unfortunately for them, neither Blair nor much of the Labour Right seem able to grasp this very “era specific” nature of their electoral success. As you say David, unfortunately, 30 years in the political wilderness has also taken a heavy ideological toll on the Labour Left, and the wider radical Left, with traditional socialist comprehensive plans for a radically different society, replaced by an activist lifestyle orienting around unconnected campaigns and generalised liberal platitudes, and of course “identity politics”. It is now all too clear, a year in to Jeremy’s Leadership, and , regardless of the huge amount of energy required to fight off the constant assault of the Right, there is as yet NO sign at all of the emergence of any joined up alternative radical Left reformist comprehensive economic/societal masterplan strategy , of even a 1960’s Harold Wilsonian level of reformist radicalism, never mind the more radical “Alternative Economic Plan” of the 1980’s Bennite/Hillary Wainright/Institute of workers Control era. Of course merely having a great “Alternative Economic Plan” is no guarantee against total defeat by the power of the Market , as the utter retreat from just such an excellent plan by the 1980’s French Mitterrand government demonstrated. But having no plan at all – just a cluster of “nice objectives” and empty slogans (eg, “No one gets left behind” – pinched from the US Marine Corps !) , absolutely guarantees that if there was a Corbyn-led Labour Government in 2020 its entire list of promises would be have to be abandoned , Syriza-style, within mere weeks at the first retaliatory blows from the capitalist currency markets. As indeed was the much better thought out , but timidly actioned, national regeneration strategy of the 1964 Wilson Government. 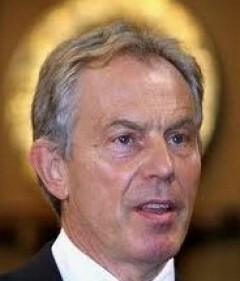 Blair may be amongst the living dead but Blairism is very much alive. Could we have that in English please? Read Clement Attlee’s the Labour Party in perspective plus Maynard Keynes (who was Attlee’s chief economic adviser) analysis and remedies for the post war social and economic crisis. Thank you for your patronising contribution and I will of course look for your narrative with eagerness. While I would disagree with your motives John this is an excellent summation of the current situation facing the party and the left generally. is Imran khan ,terry fitz? imrankahlahore@gmx.co. Who are you and who is terry fitz?